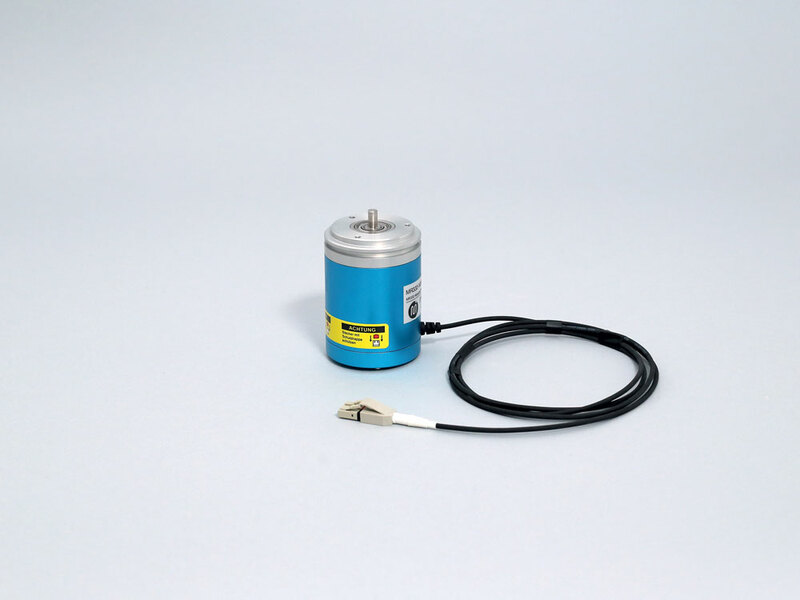 The MR330 Fiber Optic Position Sensor measures absolute angular position from 0° to 360° with 13/14 bit resolution and multiturn tracking up to 12 bits (4096 turns). The system can operate at full accuracy at speeds > 2500 rpm and distances > 300 meters. 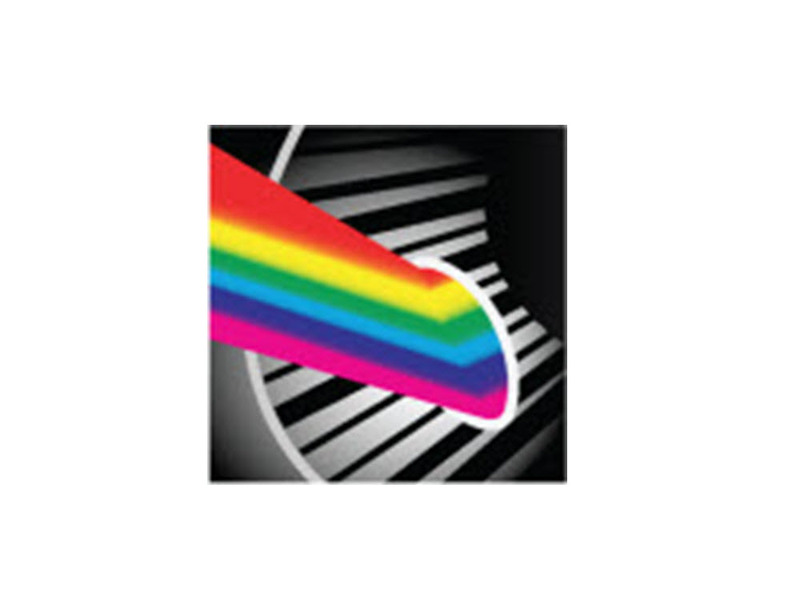 This sensor system uses a novel optical spectral imprint technique. The MR330 Series ZapFREE® Fiber Optic Absolute Position Sensor measures absolute angular position from 0° to 360° with 14-bit resolution. 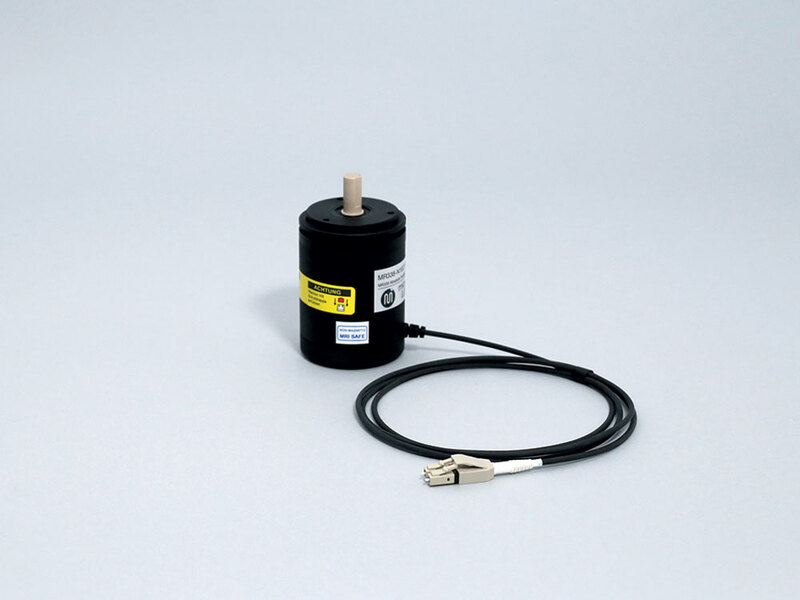 This innovative sensor system outdistances conventional absolute encoders and resolvers – transmitting interference-free up to 300 meters! The system consists of a passive optical sensor (MR332) and active controller (MR330) linked via industry standard 62.5/125μm multimode. The MR330 Series ZapFREE® Fiber Optic Absolute Position Sensor measures absolute angular position from 0° to 360° with 14-bit resolution. 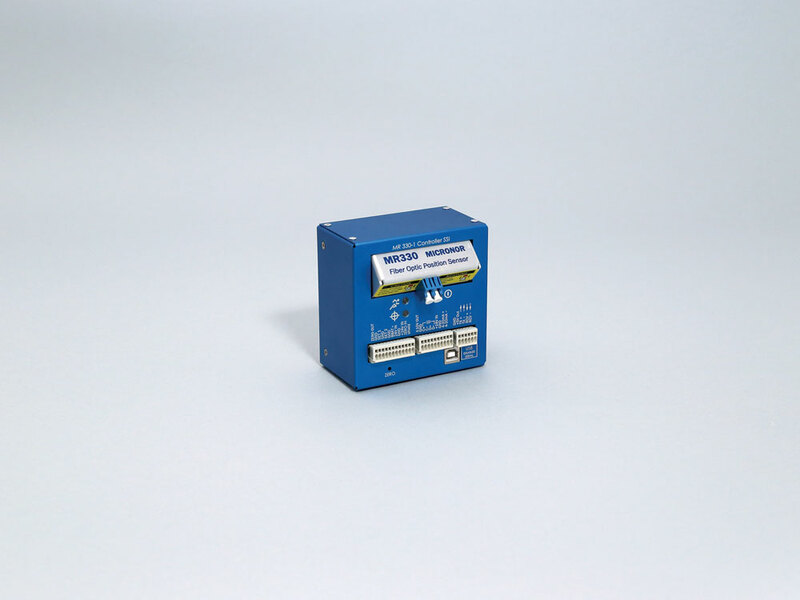 The MR330 Controller will seamlessly interface with any control system using any of its built-in industry-standard interfaces: SSI, RS485, Modbus (RTU), USB, ±10V, 4-20mA and digital set-points.